1. MATERIAL: Carbon steel shall be AISI 1016, 1018, 1019, 1021, 1022 or 1024 (hardened) in accordance with Fed. Std. No. 66. Corrosion-resisting steel shall be AISI 410 (hardened) in accordance with Fed. Std. No. 66. 2. PROTECTIVE COATING: Carbon steel shall be cadmium plated in accordance with QQ-P-416, Type II, Class 3. Corrosion-resisting steel shall be passivated in accordance with QQ-P-35. 4. RECESS: The recess shall be in accordance with MS9006. 5. HOLE SIZES: For approximate hole sizes see MS24632. 6. DIMENSIONS: All dimensions are in inches, unless otherwise specified. 8. Referenced documents shall be of the issue in effect on date of invitations for bid. 9. For design feature purposes, this standard takes precedence over procurement documents referenced herein. 10. SUPERSEDES: AN530, MS24617, MS24618, MS24622, MS24641, and MS24642; BCXX3.1, BCXX3.2, BCXX5.1, BCXX5.2, BQBX3.1 and BQBX5.1. The screws covered by the following dash numbers of MS24637 and MS24638 are cancelled after 25 February 1963. The screws covered by the following dash numbers of MS24641, MS24642 and AN530 are cancelled after 15 August 1963. The screws covered by the following dash numbers of MS24617 and MS24618 are cancelled after 27 August 1969. The screws covered by the following dash numbers of MS24621 and MS24622 are cancelled after 15 May 1975. The cancelled screws cannot always replace the superseding screws and should be used until existing stock is depleted. 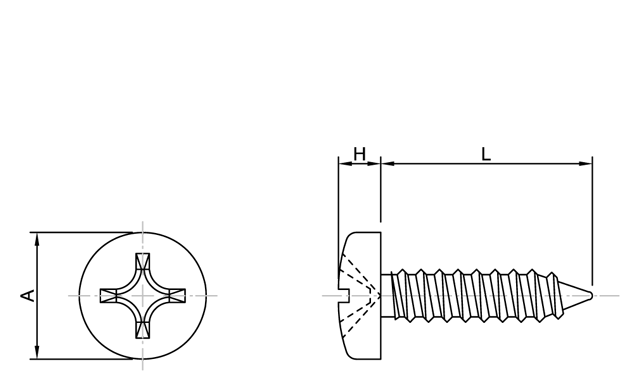 Use only the superseding screws of MS51861 for design and engineering. Replacement shall be in accordance with these tables.